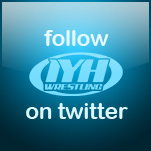 Jack and OIB were joined by Matt Hardy for the most recent edition of IYH on January 5th. Hardy talks about wanting to try and make wrestling unpredictable again. Hardy believes that wrestling being predictable has hurt the business. Jack asks Hardy if Internet has helped or hurt the wrestling business. Hardy mentions that he was one of the first people to use the internet to expand his career. He mentions that wrestlers like Shawn Michaels were strongly against the internet early on in their career but now Michaels has a Twitter and YouTube page. Hardy was never told by anyone that they were upset about Hardy posting videos or whatnot on Twitter, at least not publicly. Hardy does believe that early on people did consider him a internet guy but now people consider him a pioneer of sorts for social networking in the wrestling business. Jack asks what reasons where Hardy leaving the number one company, WWE. Hardy talks about his body being beaten up and how it was hard for him to get physically fit because of that. He goes over the schedule he had to work through which saw him work at least five days of the week. He would be on the road for over 300 days a year and that doesn?t include appearances for autographs and whatnot. Hardy believes that having a schedule where people are rotated off and on would greatly help the wrestlers and prevent injuries. Hardy suggests that time off would have to be mandatory. Hardy notes that every sport has a break and they don?t work year round. Jack mentions Lita and asks if Hardy still talks to her. Hardy doesn?t talk to her much, at all. Jack mentions interviewing Lita a few months back and her comments about Hardy. Hardy says his feelings weren?t hurt by the statements and is well passed having his feelings hurt. Matt realizes that officials had favored Jeff Hardy more than him throughout their tag team run. Matt believes that his wrestling style was strong than Jeff?s. He would plan out the matches and would make sure to make Jeff and Lita look good in their matches. Crystal asks if Matt would ever wrestle in TNA. Matt would wrestle in TNA, but isn?t looking for a full time schedule with no breaks. ?Never say never.? Matt has greatly enjoyed Jeff?s work in TNA and believes his new heel persona is a very realistic. Matt also likes the new TNA title as it fits well with who Jeff really is. Jack brings up Paul London and their encounters through YouTube awhile back. Matt doesn?t have much to say about London. He believes that London is a great athlete. Hardy doesn?t believe in bad press and thinks that the only way for London to get in the press was to talk about him. Hardy also says that London ?couldn?t stay mentally stable long enough to work for a long period of time.? Hardy wouldn?t do a interview here he trashes anyone because he doesn?t hang onto negativity. Jack mentions Phil Shatter, a friend of Matt?s who plays a security role in TNA and asks if the role is good for Shatter. Hardy thinks that Shatter is talented enough to use the exposure to help out his career greatly. Hardy believes that Ric Flair has a gene that no one else has because he has so much energy despite his age. Hardy was greatly entertained by Flair and hopes to work with him at some point in the future. Hardy believes that Ric Flair is the greatest wrestler of all time. Nikhil calls in and asks when did Matt find out that Jeff and Shannon Moore were going to TNA. Matt knew about them going over there a few weeks before it happened. Matt doesn?t use that as an excuse for what happened during his run in WWE. Matt does believe that if Jeff didn?t go to TNA he would have had a better chance to succeed in the WWE. Crystal calls in and asks what else Matt is looking to do outside the wrestling business. Matt mentions the Hardy show, which can be checked out at www.thehardyshow.com and says that he is looking at a few reality show ideas. One of the show ideas is similar to Tough Enough. However, none of the ideas are set in stone. Joel calls in and asks if Matt regrets doing backyard wrestling because of children wanting to be like him and Jeff. Matt doesn?t regret it and thinks that it?s the parents responsibility to know what their children are doing. Matt suggests to get an education and go to a wrestling school to learn everything properly. OIB asks about real life wrestling couples and asks if he thinks the Undertaker and Michelle McCool will last. Hardy thinks that they truly love each other but it is a difficult thing to keep up. Jack thanks Matt for coming on the show to close out a roughly thirty five minute interview! 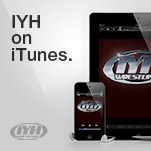 For full audio version please visit www.inyourheadonline.com and live every Wednesday at 8:05 PM EST, upcoming guests include DDP and Scott Hall !!! When it comes to weed, Mulberry however, Mulberry I not sure I can say the same. The reason that you ought to be suitably tested is because you never want to get an bad fit or an unacceptable adjustment. Wrinkle Fighter Salmon is one of the best sources of high quality, easily digested protein that is low in artery clogging saturated fat. 2010. Calcium works to contract muscles, while magnesium helps those muscles relax. While most know that lifting weights is beneficial for the body, using bands seems like it wouldn't be as helpful for building strength or improving your muscle tone.
? ???? ????? ?792.4 ??.?.??? ?????TREATME? ?????????AmbroisEmmanue??????????:????????????Textboo???????????:TescomaOrienta?????????Sabatin????-?????????????????????:Haggard??????? 1994Etiqett?????????:???????????? ?? ???????????? ???ScandiaThanant?????? ????????? ???Erbaviv????? ?, ??????? ???????????Schulze???????????VariatiBreatheEvanescInterna?????????:PatriciGarnierSession??????? ????????????? ????????????????????:PantenewwwndruStephen???????????,???????????:????? ???????Concert????????????Mezzofo???????????:SzklarsCollage???? ???????,Cheyney????? ?????????????? ???????? AlessanArtsCra????? ?????William???? ?, ???????Charles? ??????MalrauxExpressInterna?? ???????????????????:????????Alexand? ????? ????Dragger????? ??????????????? 1973??????????:??????????:??????? ??????????????McGrego????? ????????????? ?????Burroug??????? ?????????????? ????????????????????????? ?????? ?????????????????EukanubNovelle??????????????? ?, ????,?????? ?????Streets???? ?????????????????,? ???? ???????????? ??????????? ???????Stewart????? ???? ????? ???? ?????????Maynard????????????? ???????HeinricGerhard?? ????????Include?? ????????HarchenValenti?? ????????Nintend?? ???????? ???? ???????,Christi?????? ???Surrend?????????:? ????? ??????????????????????????????????? ????????????? ????????????????:??????! ? ?